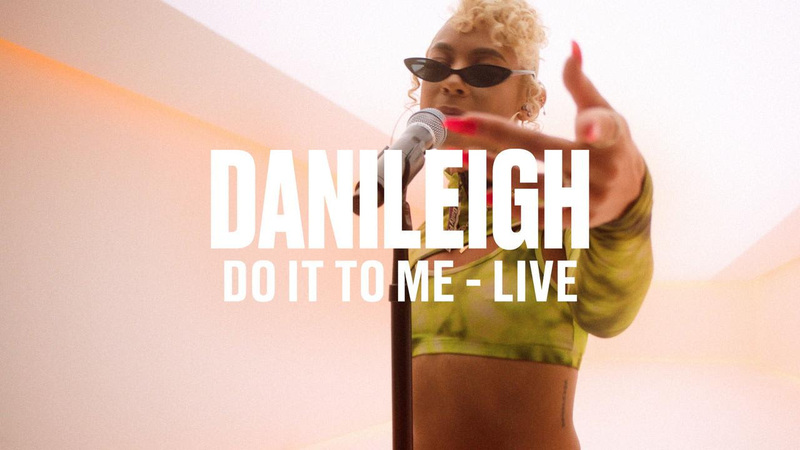 Vevo announces the release of DaniLeigh’s live performances of “Lil Bebe” and “Do It To Me”. A South Florida native, DaniLeigh was born with music in her blood, singing from a young age and releasing cover videos on YouTube in her early teens. After moving to Los Angeles at age 16, DaniLeigh further pursued her passion for entertainment by training as a dancer, appearing in music videos and commercials, while doing select recording sessions with those who knew of her vocal talent. When she was just 18, she was contacted by Prince, (who learned of her dancing talent through a one-minute video clip), to direct his video for “Breakfast Can Wait”. The Purple One ended up taking DaniLeigh under his wing and mentoring her budding singing career before his untimely death in 2016. Her fanbase grew exponentially with her viral take on Drake’s “In My Feelings” dance challenge. “Lil Bebe” and “Do It To Me” come off of DaniLeigh’s 2018 full length album The Plan. The Plan includes features from YBN Nahmir, YG, Lil Baby, Lil Yachty and has been praised by the likes of Billboard, COMPLEX and Harper’s Bazaar who gush about her having “the laid-back cool of an It Girl and the swagger of a rap star onstage.” The Plan is out now on all streaming platforms, and be sure to keep up with exclusive content from artists all over the world on YouTube.com/Vevo. Ruby Tuesdays set to take ‘Why You Always Gotta Fight Me’ out on the road for extensive Autumn tour!